Robert Gehl reports that Hillary Clinton is still looking for someone to blame for her disastrous loss in November. Pointing the finger at anyone but herself, Clinton has said that the FBI and James Comey, the Russians, the media and a “basket of deplorables” are all to blame for losing the presidential election in November to Donald Trump. Now, amazingly, she’s blaming the one group who she had wrapped around her finger: The Democratic National Committee. At a technology conference in California, the former Democratic nominee said that the DNC gave her “nothing” after she clinched the party’s nomination. “I set up my campaign and we have our own data operation. I get the nomination. So I’m now the nominee for the Democratic Party. I inherit nothing from the Democratic Party. I mean, it was bankrupt,” she said at the Code Conference in California. Of course, she still had plenty of blame for the Russians, saying their “fake news” and propaganda were a huge influence as well. 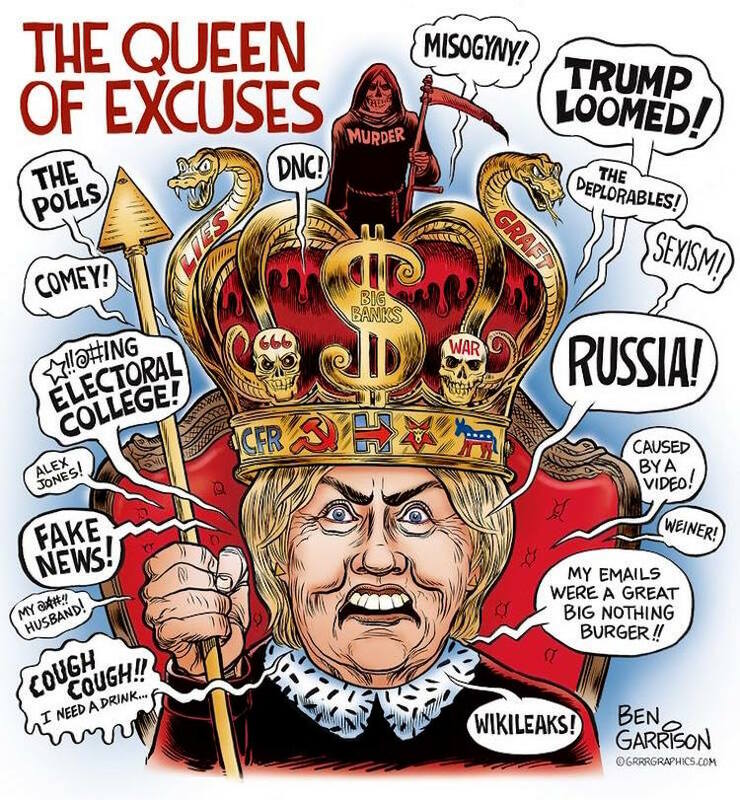 Finally, Clinton blamed the overall assumption that she would win by a landslide, leading people to decide not to address the Russia issue until after the election.